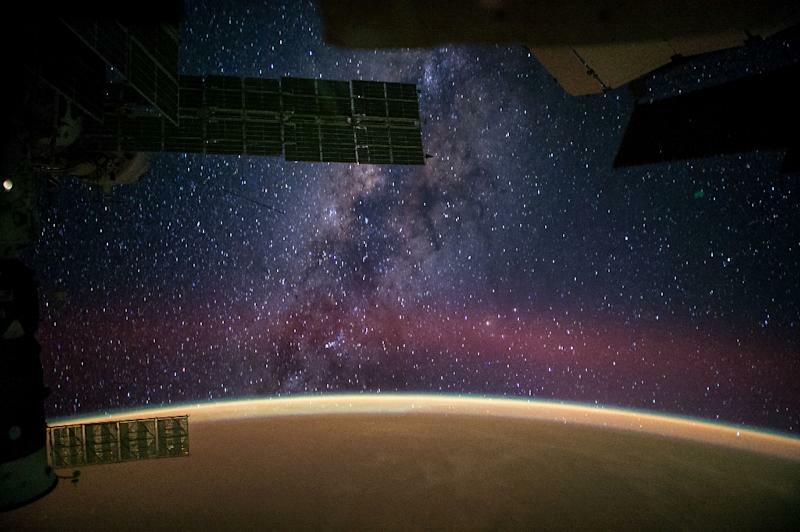 Paris (AFP) - The Milky Way galaxy may be home to billions of planets orbiting their host stars in a "habitable zone" where life could theoretically exist, researchers said Wednesday. NASA's Kepler space telescope, launched in 2009 to search for so-called "exoplanets" outside our own solar system, has already found thousands -- many of them in systems like our own with multiple planets orbiting a star. Using this data, researchers from the Australian National University and the Niels Bohr Institute in Copenhagen attempted to calculate how many stars in the Milky Way could have planets in their habitable zones where liquid water could exist -- the prerequisite for life whether primitive or complex. "The calculations show that billions of the stars in the Milky Way will have one to three planets in the habitable zone, where there is the potential for liquid water and where life could exist," said a statement from the Niels Bohr Institute. The findings of the study were published in the scientific journal Monthly Notices of the Royal Astronomical Society. The team used a new version of a 250-year-old method called the Titius-Bode law, which correctly predicted the position of Uranus before it was discovered. According to the law, there is a ratio between the orbital periods of planets in a solar system. Therefore, if you know how long it takes some planets to circle the star, you can calculate the orbital period of others, determine their position and find planets "missing" from the sequence. "We decided to use this method to calculate the potential planetary positions in 151 planetary systems, where the Kepler satellite had found between three and six planets," said researcher Steffen Jacobsen of the Niels Bohr Institute. The team predicted a total of 228 planets in the 151 planetary systems, and one to three planets in the habitable zone of each. "According to the statistics and the indications we have, a good share of the planets in the habitable zone will be solid planets where there might be liquid water and where life could exist," said Jacobsen. Extrapolating the calculation to further afield, this meant that in just our own galaxy, there could be billions of stars with planets in this possibly life-sustaining zone, added the statement. Exoplanets are observed from Earth through changes in the brightness of their central star. The light is partly blocked when the planet passes between Earth and its star. The search for a planet capable of hosting life remains an academic pursuit -- there is no solar system close enough for mankind to reach it unless we develop time travel. Since its launch, the Kepler spacecraft has scoured more than 150,000 stars for exoplanets. Astronomers have verified the existence of about 1,000 faraway worlds identified by the telescope, and about 3,000 potential planets await scientific confirmation. Most exoplanets found within their stars' habitable zones have been gas giants.